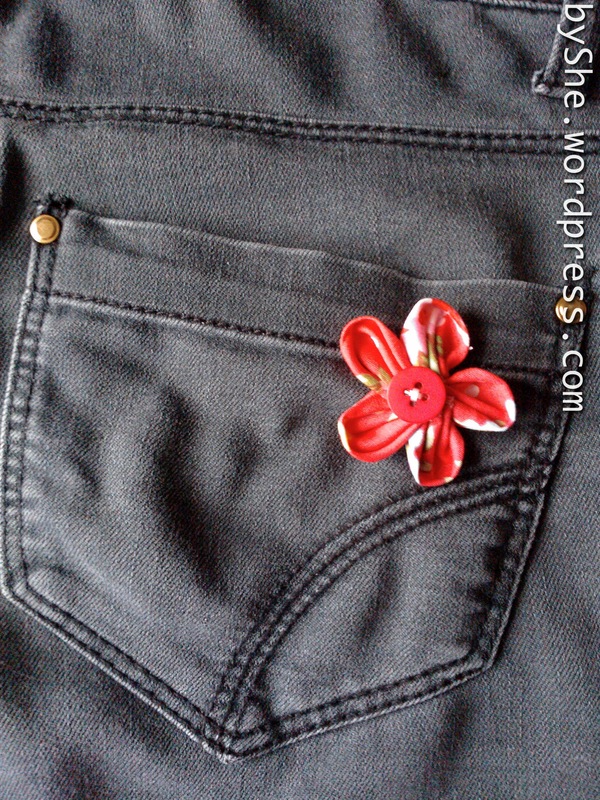 I’m feeling very pleased to have finished another recycled denim jeans project this week – I’m on a roll now! As I mentioned in my last post, my friend gave me two pairs of jeans she no longer had use for, knowing my obsession with repurposing clothes! 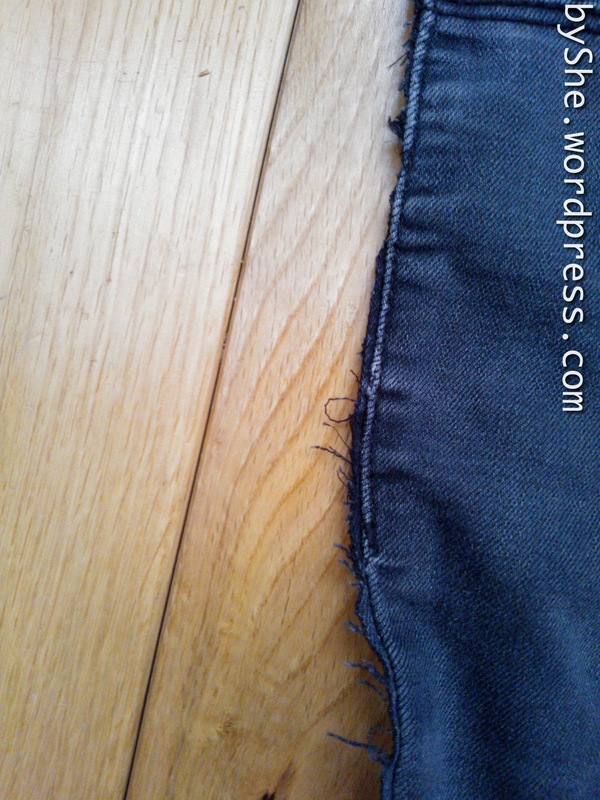 At the same time, my niece (a budding seamstress herself) sent me this video link to a great re-use for jeans – cutting the backside and waistband off to make a garden apron. 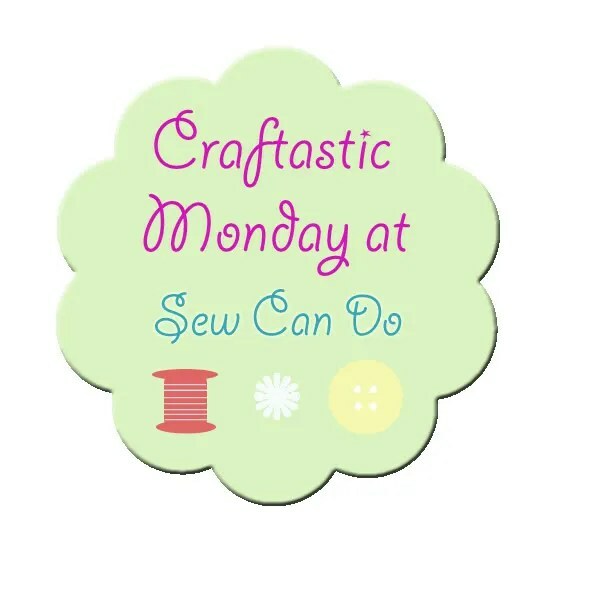 The video tutorial shows you how in seconds you can create a little garden apron from your jeans. 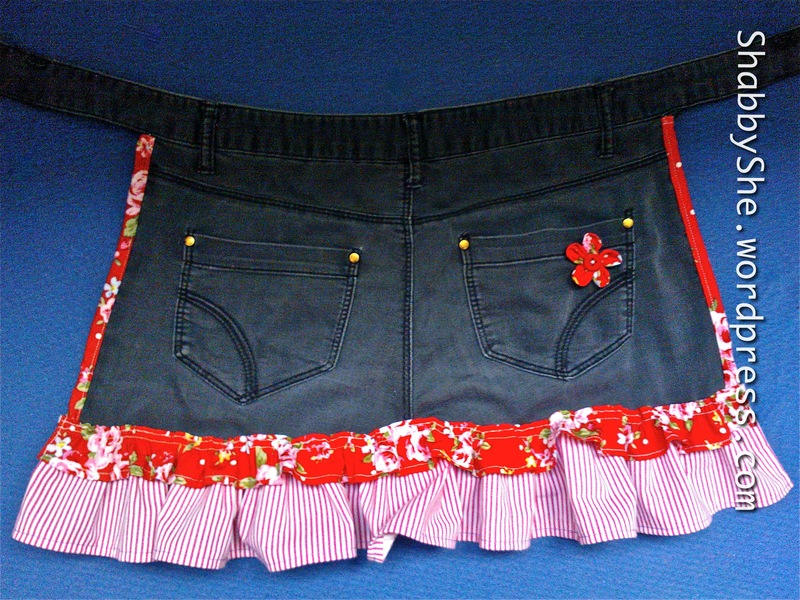 I immediately took the shears to my friend’s old jeans and reproduced the apron, but decided to “girlify” it a bit by adding a little ruffle. Rather cuter now I felt – but probably more of an “indoors” apron that a gardening one. In which case, it needed a bit more work. You’ll notice the cut at the side seams left a rather frayed raw edge that needed some attention. 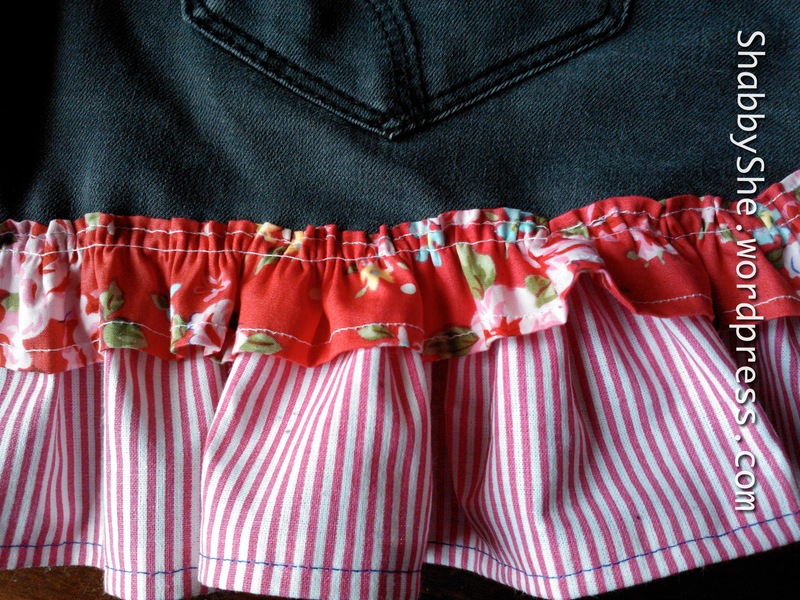 So I added some binding with a pretty fabric to contrast the ruffle fabric. 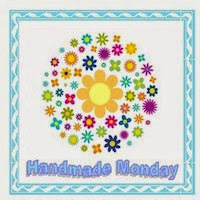 Then I had a dilemma – should I top-stitch from the front of the binding, to neaten it up, or should I go for a cleaner look? and I’m pretty happy with the result! What a fantastic idea. 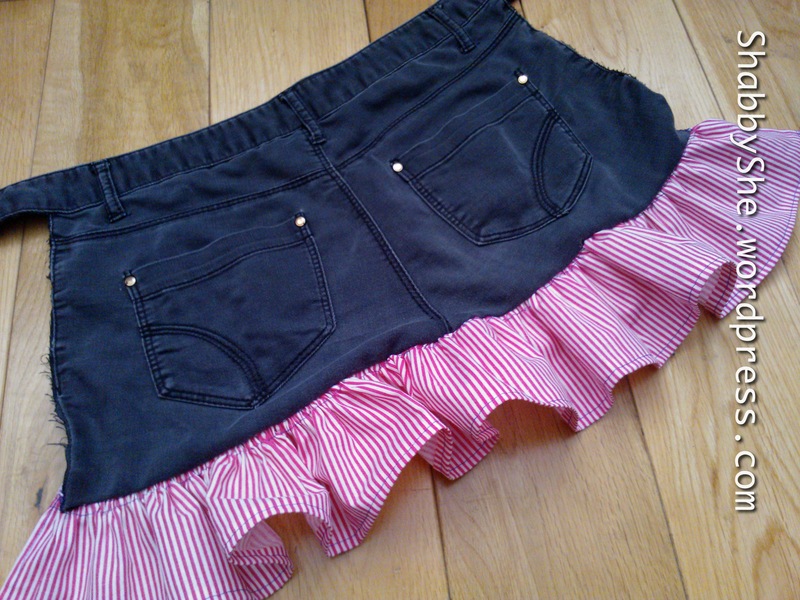 I have made an old pair of jeans into a skirt before. It’s great isn’t it? I can’t take credit for the idea. A skirt is pretty impressive! Such a clever way to use old jeans! What a great way to upcycle the jeans. I love little aprons and the pockets are so handy – I might have to make one for my next craft fair to keep my bits and pieces in. Haha Vicky, I was thinking the same! These are my friend’s size 6 (UK size) so a bit “snug” on me – I’m going to try making some waist-adjustable by using a bigger pair of jeans and adding more rivet buttons. This is so sweet! That flower is the perfect finishing touch. You are right – too pretty to be used in the garden. 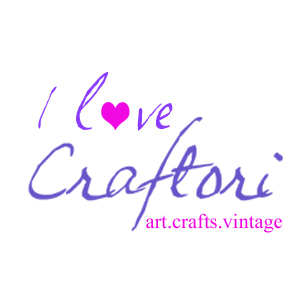 A great refashion!! !